Welcome to the Oxnard Law Offices of Employment Lawyer Robert Baskin. Our seasoned lawyers have been providing experienced and zealous representation to those entangled in Employment Law disputes with their employers or employees. Our Oxnard Employment Law Attorneys have been fighting on behalf of clients to preserve and protect their rights and interests in Employment Law cases for almost 40 years. We are seasoned professionals who possess a comprehensive understanding of the issues that may arise in the workplace. To schedule a complimentary in-office consultation with one of our caring and knowledgeable Employment Attorneys, please contact an Oxnard Employment Law Firm by calling (805) 658-1000. We will thoroughly review your case and provide you with an honest, up-front case analysis. Should you choose to retain the Law Firm of Oxnard Employment Lawyer Robert M. Baskin, we will keep you informed as to the progress of your case. Additionally, all client emails and telephone calls will be answered in a timely manner. One of Oxnard’s most respected Employment Law Firms, we strive to resolve Employment Disputes effectively and efficiently. Disabilities & Accommodations Violations – Discrimination based on an employee’s mental or physical disability, or the refusal to provide disabled employees reasonable accommodations. These issues are under the purview of the American’s with Disability Act and California’s Fair Employment Housing Act. Although every effort will be made to settle your case out of court, when settlement talks fall through we will not hesitate to litigate your case.  Medical & Family Leave Violations – Available for qualifying employees, employers must allow employees to take medical or family leave when specific situations arise. These include the birth or adoption of a child and the diagnosis of a severe medical condition requiring treatment (applicable to the employee, their spouse, children, parents or other close family members). Please contact us at (805) 658-1000 for additional information and answers to your questions.  Hostile Workplace Environment – Being subjected to a hostile work environment can have serious impacts on an employee’s self-esteem, productivity, and overall health. When an employer fails to intervene and stop conduct which may be deemed to create a hostile workplace environment, including egregious and long-term harassment or discrimination, the employer may be held financially liable. Whether you are a victim of hostility in the workplace or are an employer being accused of fostering such, call a skilled Oxnard Employment Lawyer at the Law Firm of Robert M. Baskin.  Sexual Harassment – Treated as a form of gender discrimination, sexual harassment encompasses a broad range of behavior, including unwanted touching, distributing pornographic material, making sexually suggestive remarks, and making threats of retaliation for failure to comply with demands for sexual favors. Our Employment Law Attorneys have been vigorously settling and litigating these matters in and around Oxnard for almost 40 years.  Trade Secrets Disputes – Under the Uniform Trade Secrets Act, the misappropriation or theft of trade secrets is prohibited, and if found in violation of the UTSA, substantial fines and penalties may be assessed by the court.  Whistleblower Laws – These laws are designed to protect employees who report unlawful or illegal activity from retaliatory behavior in the workplace, including harassment and termination that can be directly linked to whistleblower activity. Workplace Discrimination – Oxnard Employment Attorneys at the Law Firm of Lawyer Robert Baskin provide representation to employees and employers embroiled in workplace discrimination cases, including those brought as a result of discrimination based on age, disability, gender, national origin, race, religion and sexual orientation. 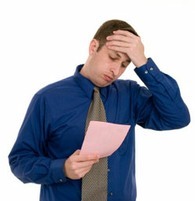  Wrongful Termination – Although California is an at-will employment state, an employer may be held liable for wrongful termination if the firing resulted from the employee filing for unemployment, testifying against their employer, reporting illegal activity or wrongdoing, requesting family or medical leave, or asserting any other legal right. Wrongful termination matters are highly complex and generally involve numerous causes of action, such as disability discrimination, violation of whistleblower laws, sexual harassment, and workplace discrimination. Whether you’re an employee or an employer, if you are presently involved in an Employment Dispute, it is crucial that you retain an Employment Attorney who possesses extensive experience in the field. The Law Firm of Lawyer Robert Baskin has been aggressively fighting to preserve and protect the rights of plaintiffs and defendants in Employment Law cases since 1975. Conveniently located near Oxnard, we are pleased to offer a free initial consultation and case analysis. Contact an Oxnard Employment Lawyer today by calling (805) 658-1000 to make an appointment for your complimentary initial consultation.